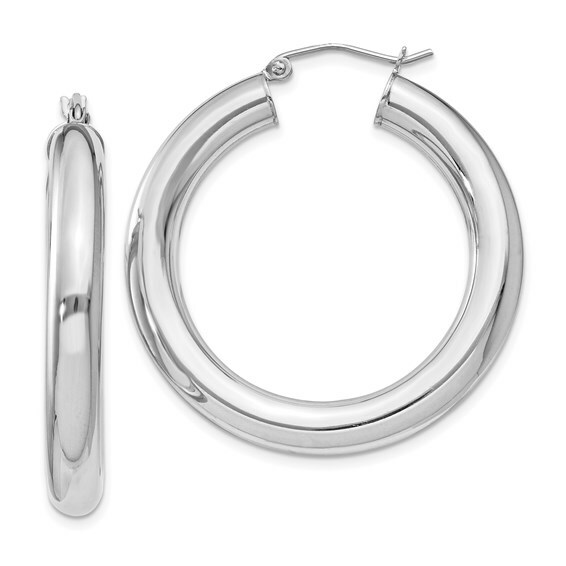 These large sterling silver hoop earrings are made of polished rhodium-plated sterling silver. Size: 1 3/8in x 1 3/8in. Hinged posts. Hollow. Thickness: 5mm. Weight: 5.59 grams. Import.